North Carolina – possibly my favorite state in all of these United States – has given us a number of indiegrass bands in the last few years. 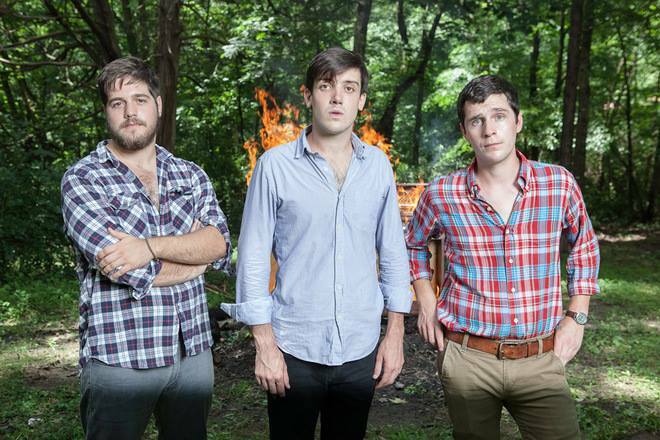 Carolinians like the The Honeycutters and Mandolin Orange have held our attention and shown us that the polished indie music scene didn’t die when the Avett Bros started getting CMT airplay. Last month, a Chapel Hill trio of songwriters called Mipso joined the fold (as far as we go at least) with the release of Dark Holler Pop (Amazon MP3 & Spotify). Holding on to a traditional Carolina bluegrass base, but, much like Chatham County Line, infusing poppy vocals, the band made up of Jacob Sharp on mandolin, Joseph Terrell on guitar, and Wood Robinson on double bass has put out a damn fine album. Produced by Andrew Marlin of Mandolin Orange, the album is music school polished but carries a fun, youthful vibe. The band regularly sells out their shows in NC, but hasn’t announced any shows outside of their state. We’re hoping they make it up this way soon. Here’s a couple tracks off the new album.